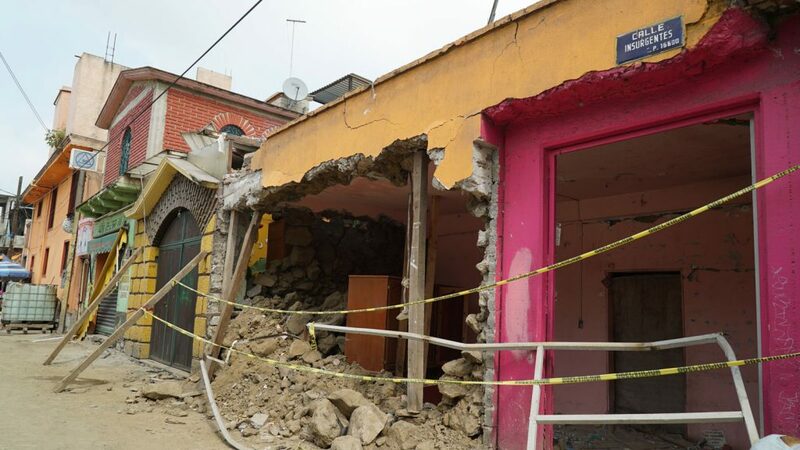 A massive magnitude 7.1 earthquake shook Mexico on September 19, 2017, causing extensive damage in the states of Puebla and Morelos, and in the Greater Mexico City area. 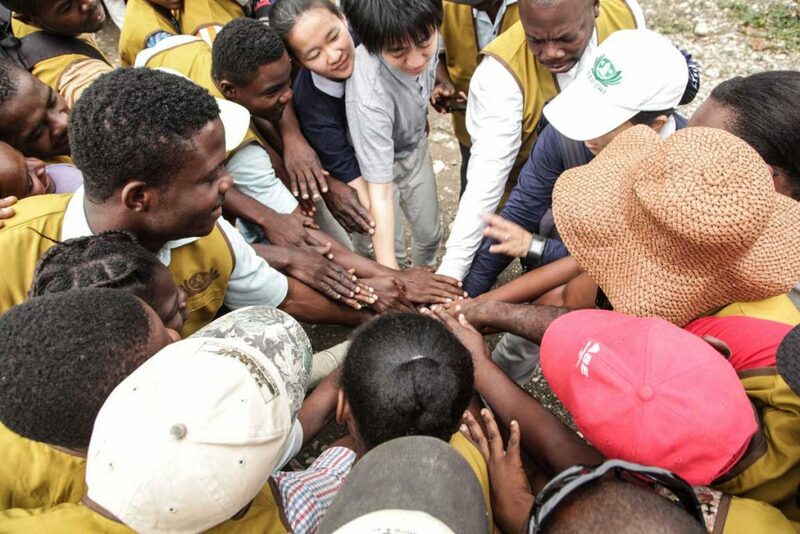 Our disaster assessment and the mobilization of aid began immediately. 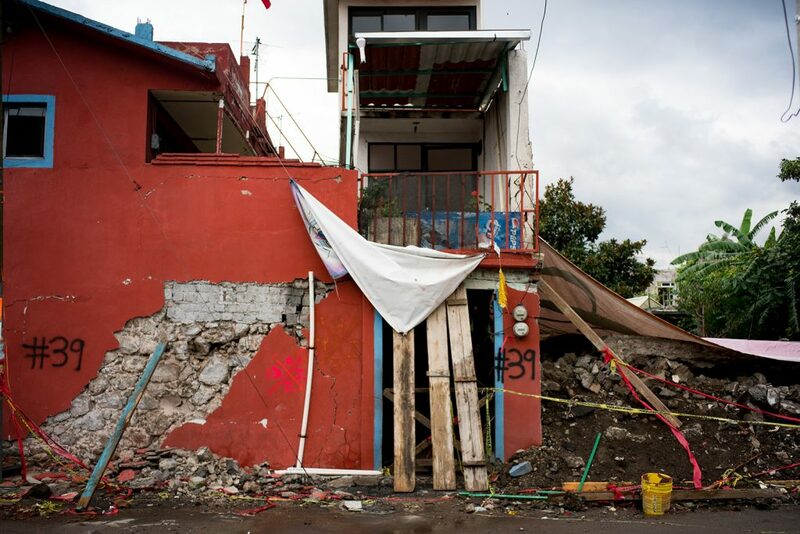 Your donation can bring relief to those affected by recent natural disasters such as this. Below is a detailed account of our ongoing mission, and we will provide continual updates. 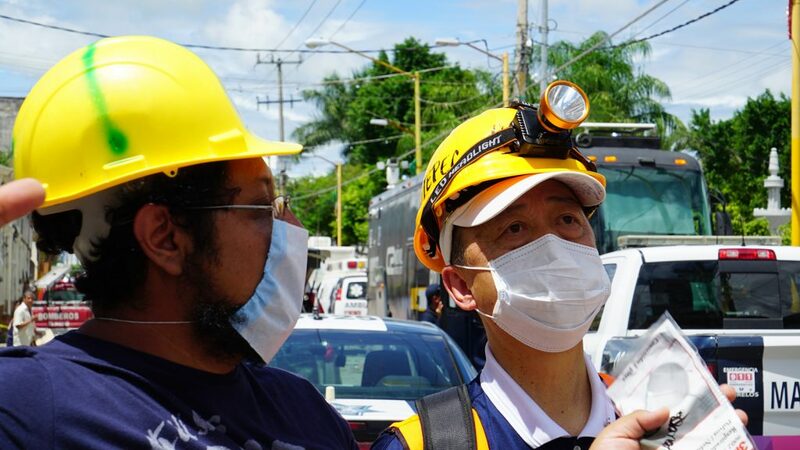 Please keep the people affected by this tragic event in your heart, and support Tzu Chi Relief. Together, by joining hands and offering our love, we can relieve suffering and provide aid where it’s desperately needed. On December 7th, the day of our first large-scale disaster aid distribution for impacted residents had finally arrived, and the journey ahead would be one that will reside in the hearts of residents and volunteers alike forever. 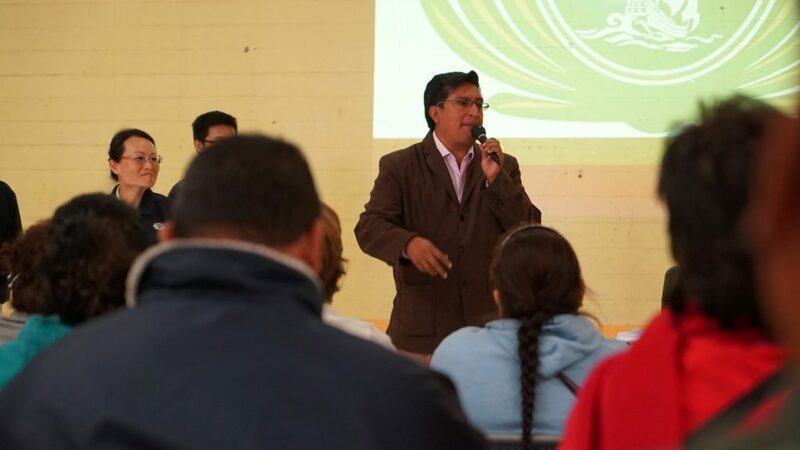 Our first distribution took place in Tlahuac, and then advancing throughout to San Gregorio, Xochimilco, Tlaquiltenango, Zacatepec, and Jojutla, until December 15th. 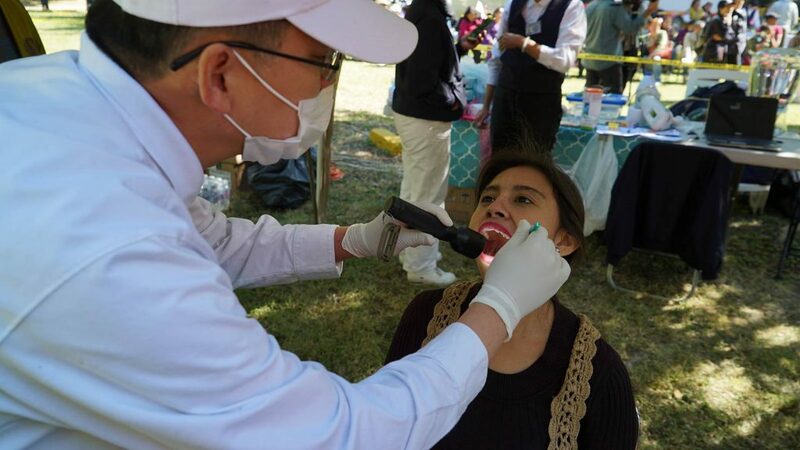 Medical outreach was provided at each of the distribution locations, giving individuals the opportunity to see medical professionals for the first time since the disaster. 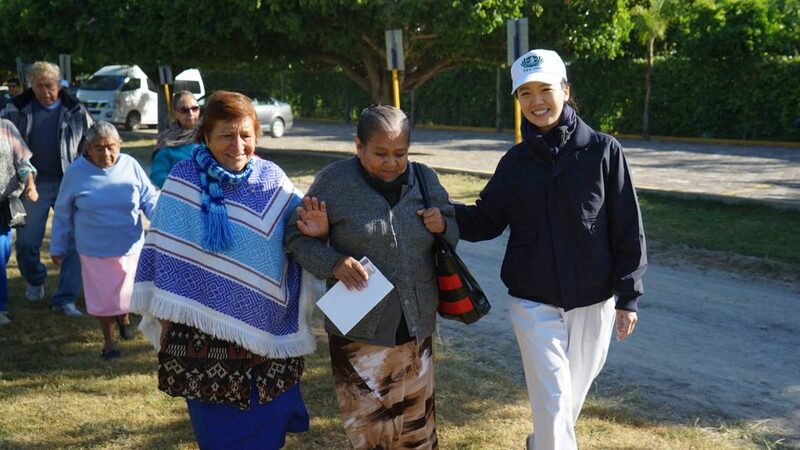 When we first heard of the destruction caused by the September earthquake in Mexico, Tzu Chi Relief volunteers reached out to the most hard-hit communities, such as Zacatepec. 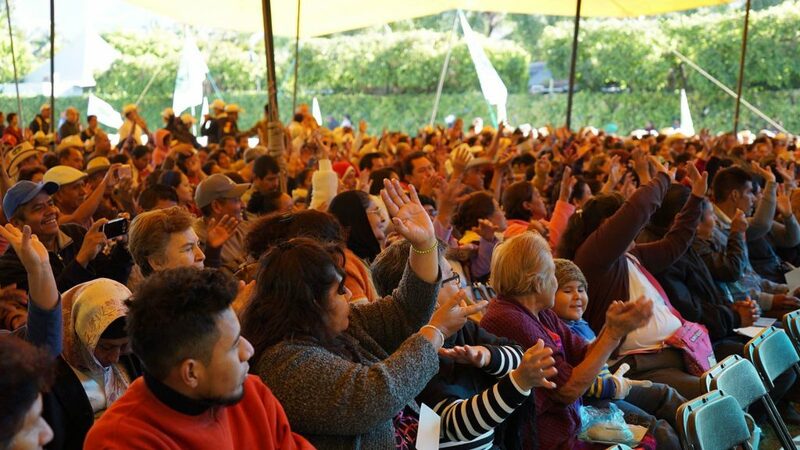 Having experienced so much heartache and grief after the earthquake, Zacatepec residents welcomed a sense of relief, and a chance to finally breathe at our distribution. Individuals were touched by the aid, and the sentiment that in essence, we are all one global family connected by great love. Kind words mean so much after you’ve lost everything. Relief was palpable in the air as residents lined up for medical outreach services. 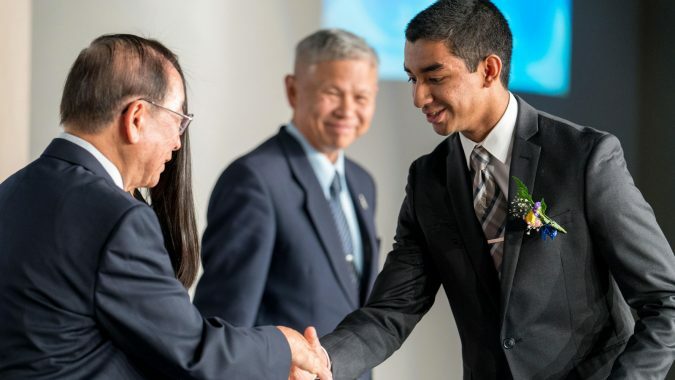 Doctors provided their comfort and care to relieve the pain and suffering of residents, many of whom sought aid for the first time since the disaster. 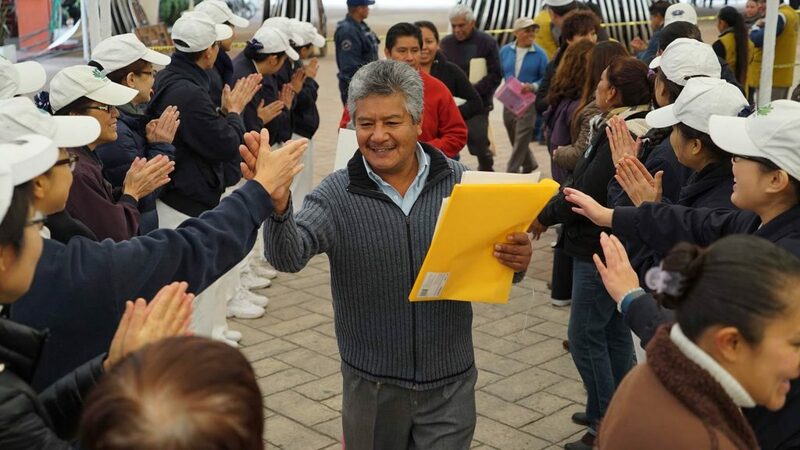 Over 1,300 Zacatepec residents benefitted from the relief event. When we got here, I realized most people have shoulder or ankle injuries from falling debris. They've endured it for months now. 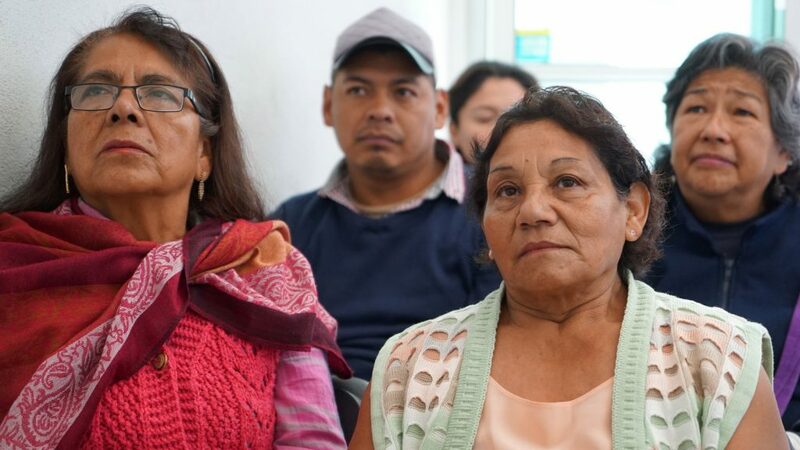 There have been many harrowing accounts from care recipients at our distribution in Tlaquiltenango, but also a new sense of strength and hopeas our aid gives residents the means to move forward. I became handicapped about a year ago, and the government hasn’t given us much. I was alone at home during the earthquake while my wife was doing some shopping. You guys are like angels sent from above. We’re both Christians. We need to think long and hard about what we’ll do with the card you guys gave us, but it’ll mostly go toward our home, which was demolished. 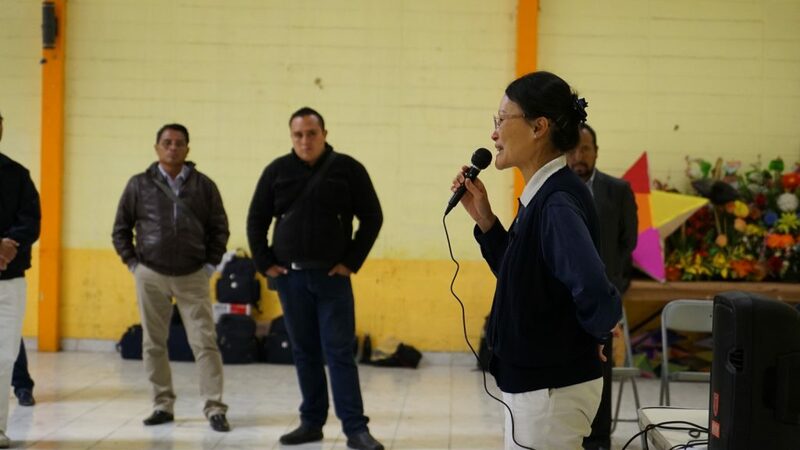 Doctors representing over 24 branches of medicine were on hand in Tlaquiltenango to provide their services during our free medical outreach event. A total of 592 patients were seen, some of whom had never consulted a doctor before. For these medical professionals, offering treatment without charge was also a blessing, reminding them of the noble virtue of their root oath to heal the suffering and ill. Volunteers also met Dioselina Duques Palasios, a 79 year old earthquake survivor, whose arm was fractured in the disaster. 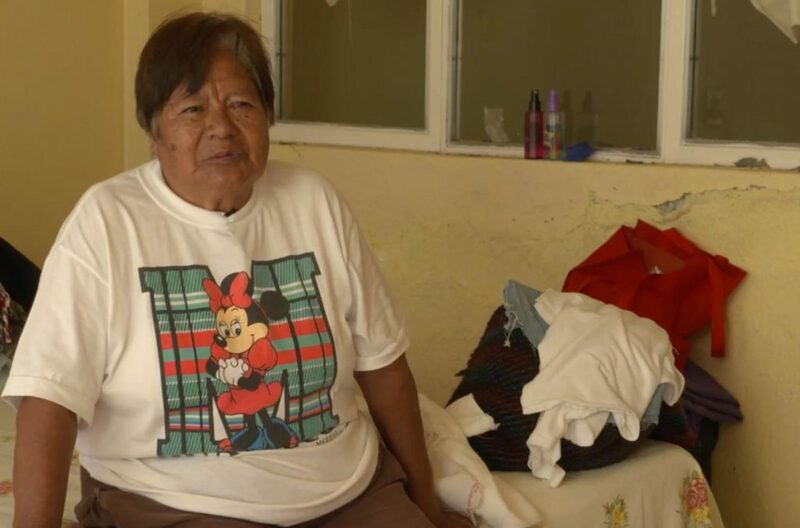 Volunteers sang “Cielito Lindo” and “El Rey” to Dioselina, soothing her worries and pain as doctors tended to her injury with care. I feel much better with this arm band. [Volunteers] came to my house and told me about this event. The doctor was very gentle with me. 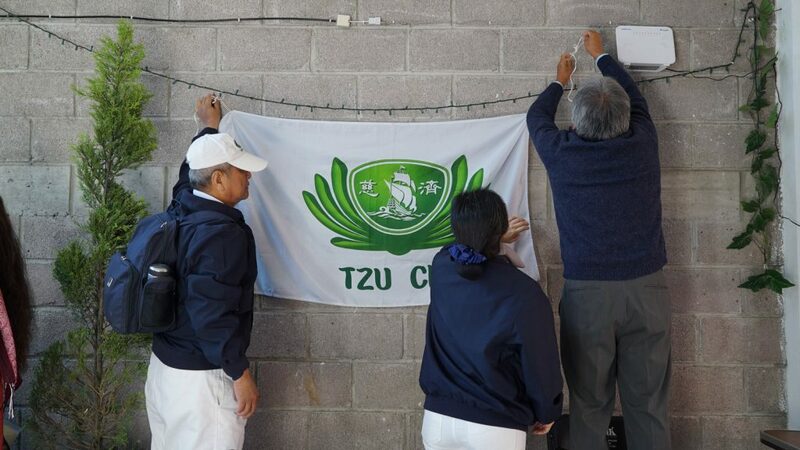 Delegated Chief of Tlaquiltenango, Enrique Alonso, was also at our distribution, where he has named December as “Tzu Chi Month” in the city. 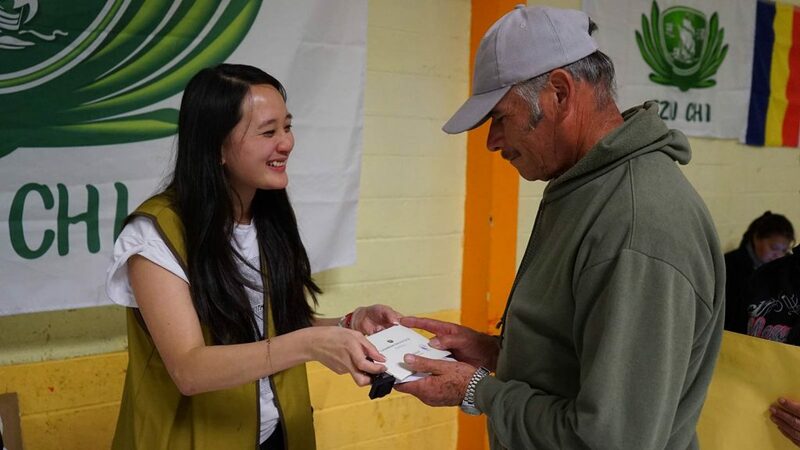 We are incredibly grateful to join hands with so many wonderful people, and help raise the residents of Tlaquiltenango up again after the earthquake. 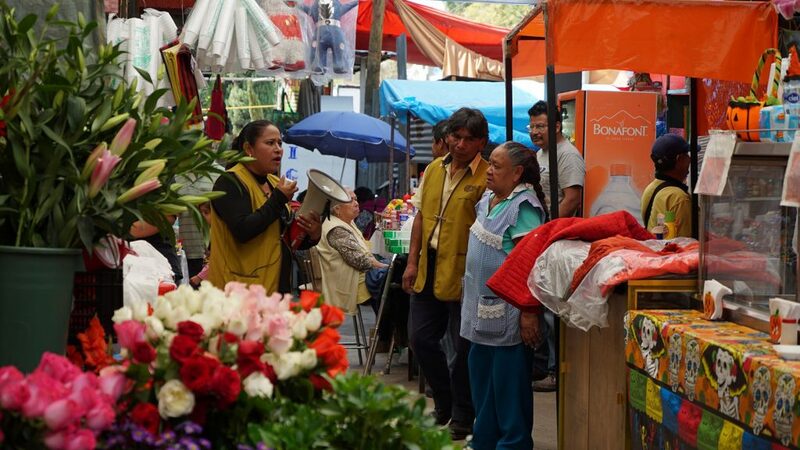 Residents lined up early for our next distribution in Xochimilco to receive disaster aid and medical services. 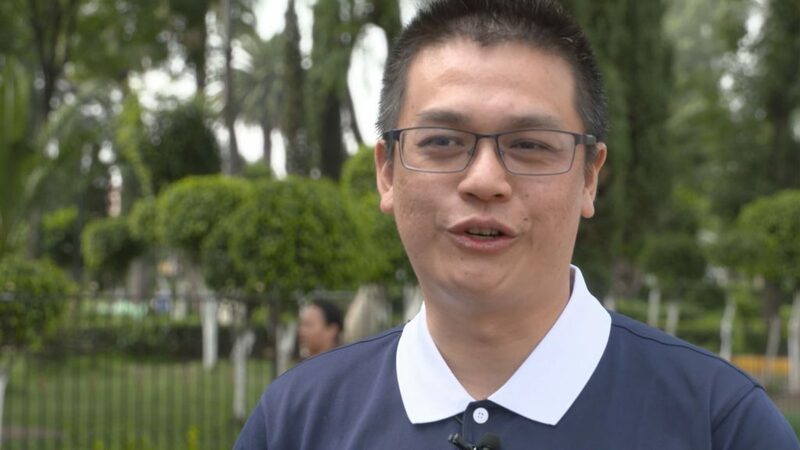 Damon Lin, CEO of Grand Helio Biotech in Mexico, joined us at the distribution with his two daughters as well, lending a helping hand to those in need. They generously donated 10,000 bottles of supplements for controlling blood glucose levels, which is crucial for our care recipients with diabetes. Many people lost a lot after the earthquake, and I’m glad my parents can help with these pills. With the emotional and psychological effects of the disaster still fresh in the minds of residents, healing can be difficult. Our volunteers also provide medical outreach, including services like acupuncture and cupping therapy, at each of our relief distributions to help with recovery. Helping others entails doing everything from the heart. 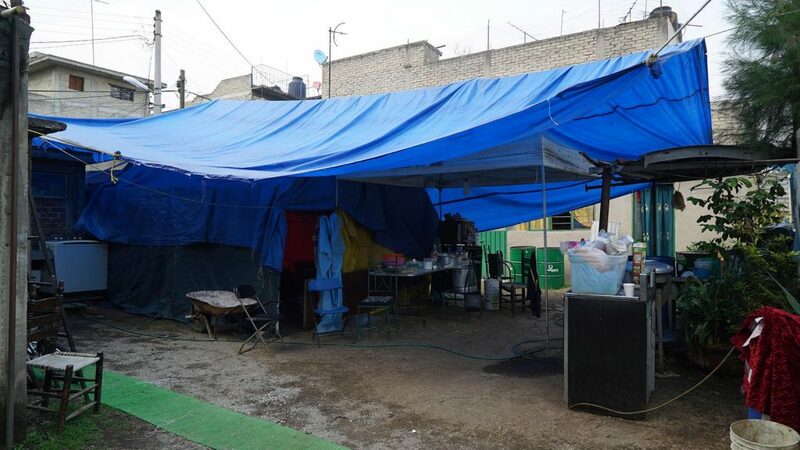 Our second day of distributions brought us to San Gregorio, Xochimilco, where volunteers and doctors alike joined hands to provide relief for those impacted. 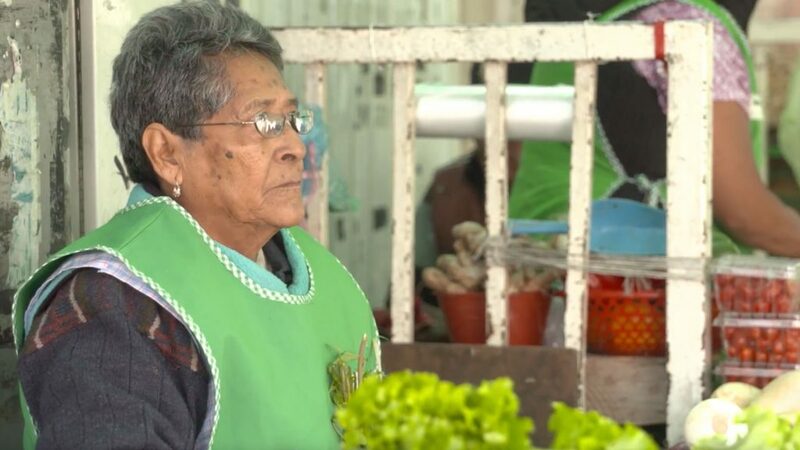 Among those being helped were reunited childhood friends, Dolores and Margarita, now 85 and 92 years old, who had not seen each other in decades. Each of the friends expressed their heartfelt gratitude to all those who were lending their aid so that they may regain a sense of normalcy and peace after the disaster. They told me either I stay in my home and risk my life, or demolish it. I have to live with my son for now. God bless you all for coming to Mexico. 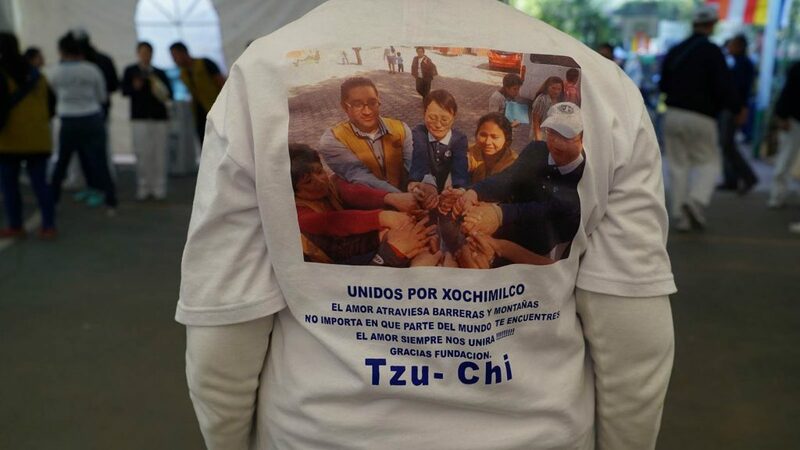 The Delegated Chief of Xochimilco also joined us at the relief event, declaring September as “Tzu Chi Month” at the opening ceremony, honoring the love and commitment given to help the residents of San Gregorio recover. As we had also seen during our previous distribution, the effects of the earthquake have left many with emotional trauma as well as physical injuries that they were forced to soldier through, and our medical outreach offered a welcome relief. 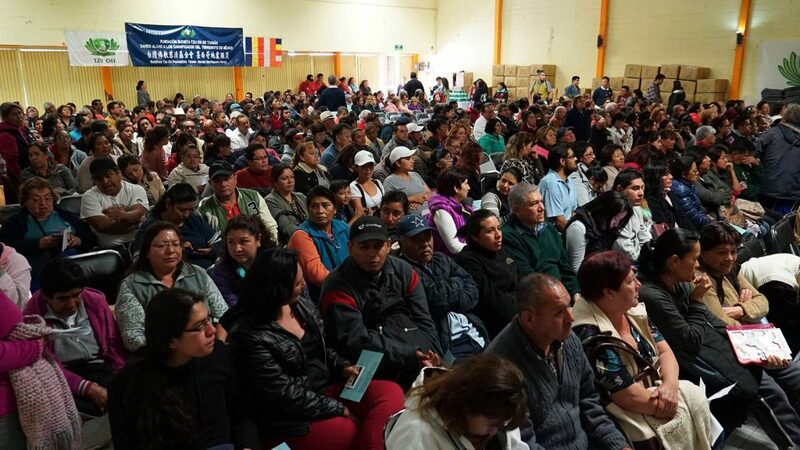 Our aid benefitted more than 1,290 San Gregorio residents. 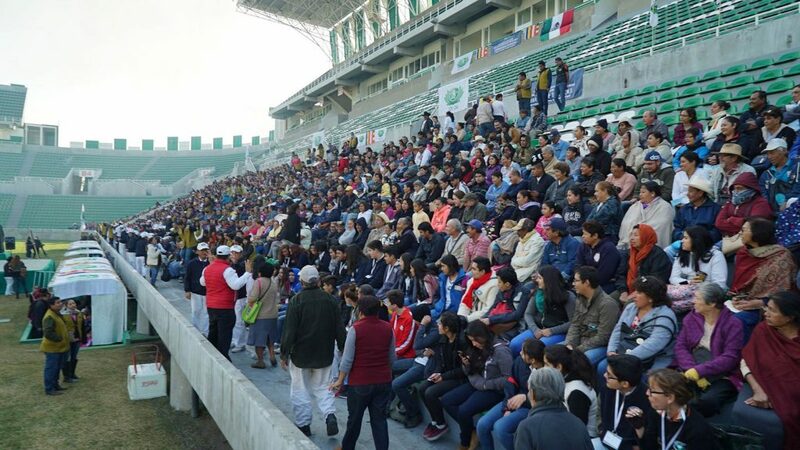 Volunteers from 17 countries have joined together for today’s disaster relief event in Tlahuac, those impacted lining up as early as 5:30AM to receive our aid. I’m very happy for all the support, we need everything we can get to fix our homes. Residents were moved to tears as the opening ceremony of the distribution began, as the sense that we are all one was abounding in the air, softening hearts that had carried the hardships of the disaster for too long. 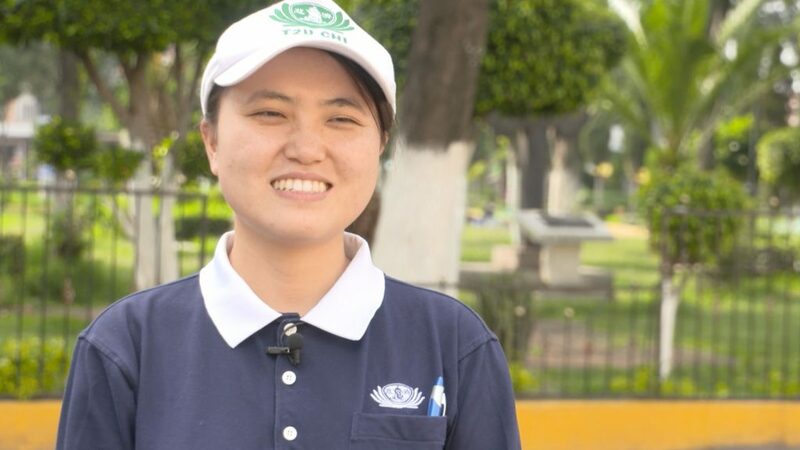 The mayor of Tlahuac is also present for the ceremony, and has named December 7th as “Tzu Chi Day” in their town in honor of our humanitarian aid efforts. 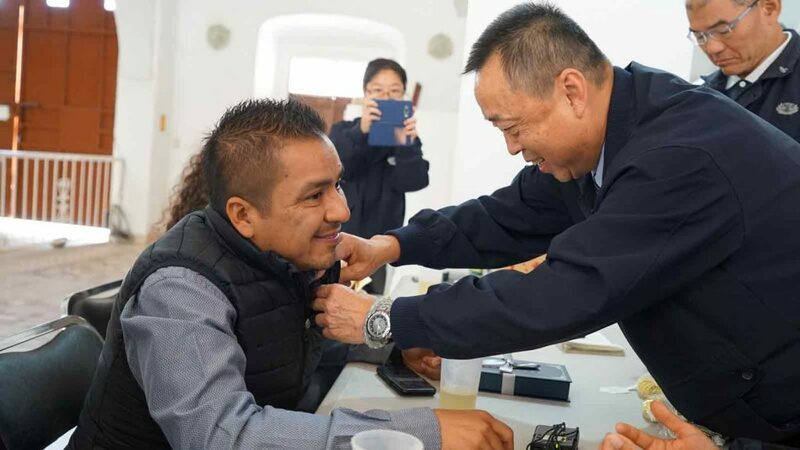 We also provided medical outreach in addition to financial assistance at the distribution, the services including acupuncture, blood pressure screenings, and more. When disaster strikes, taking care of one’s health can often get pushed into the background amid the multitude of other pressing matters. We both received acupuncture, and we feel much more relaxed, the attention was excellent. Once we fill [our] bamboo bank, we’ll donate to someone from our neighborhood. There are many more that need more help than we do. 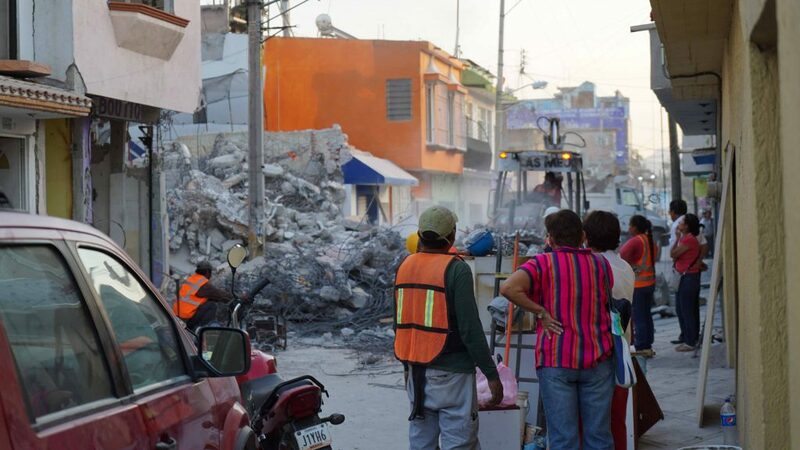 By the end of the day, over 1,300 Tlahuac residents had received our aid. Taking care of final arrangements for our large-scale earthquake disaster aid distributions was proceeding with speed and diligence as the first day of distributions on December 7 was fast approaching. 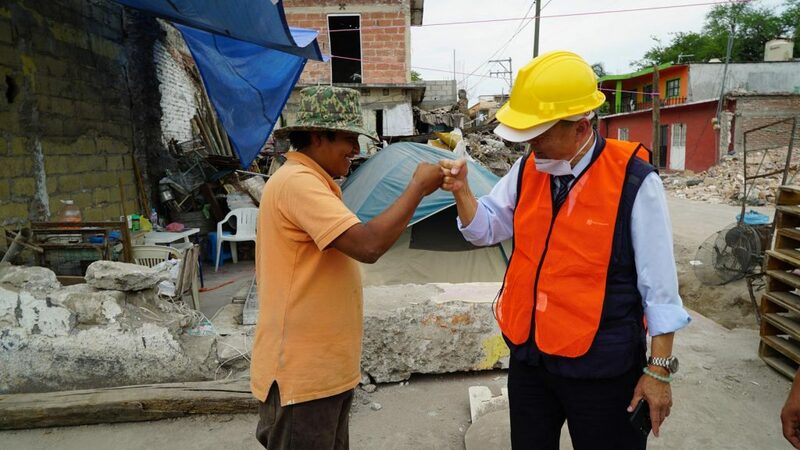 In Jojutla and Zacatepec, where some of the most devastating scenes from the disaster can still be found, the mayors and local government joined our efforts, knowing the great need in their cities. More than 70% of the population has faced damages. I calculate that 100% of the population has been affected. 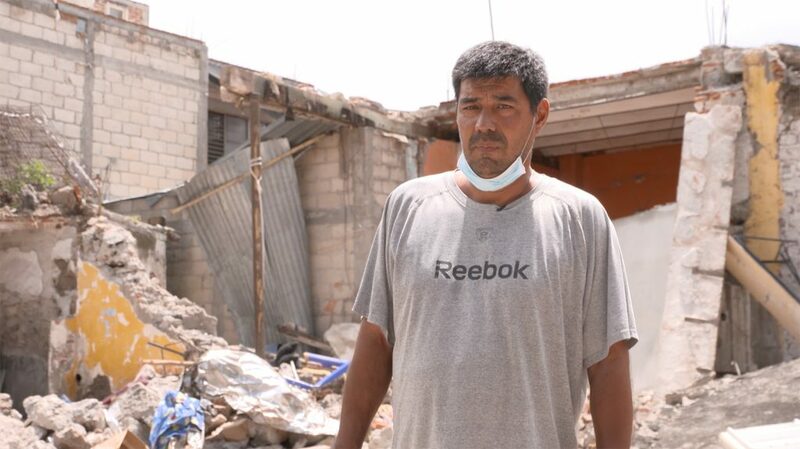 There are 2,150 homes impacted in Zacatepec, ranging from small damages to total destruction. 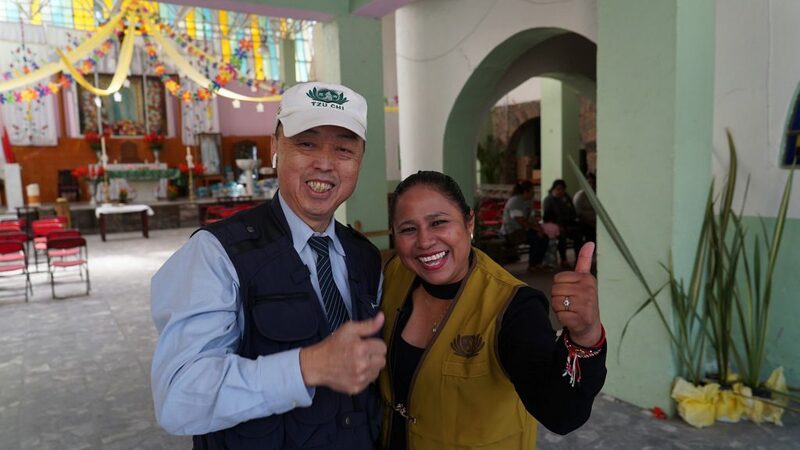 While holding our volunteer training sessions in Jojutla, we had the good fortune of meeting Griselda Pérez, who has made it her mission to watch over all those working to rebuild the city. [I’m] like having a protective mom who cares for and looks after them. Now, everyone calls me [Mama Gris]. 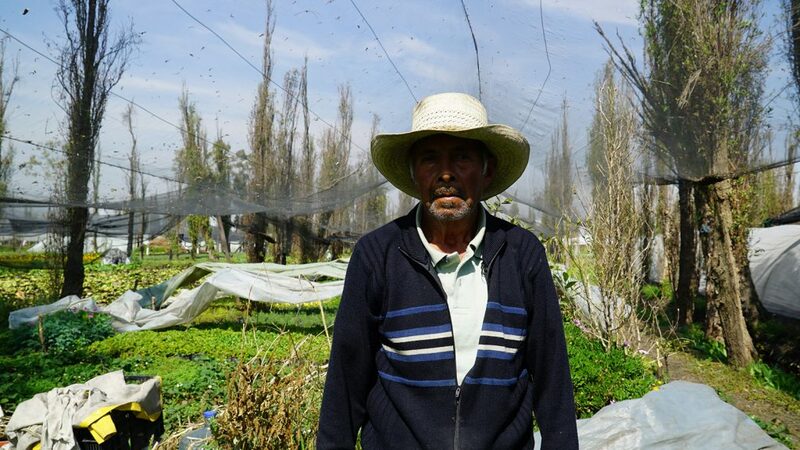 Due to the damage caused by the earthquake, the livelihood of many chinampa farmers was severely impacted. 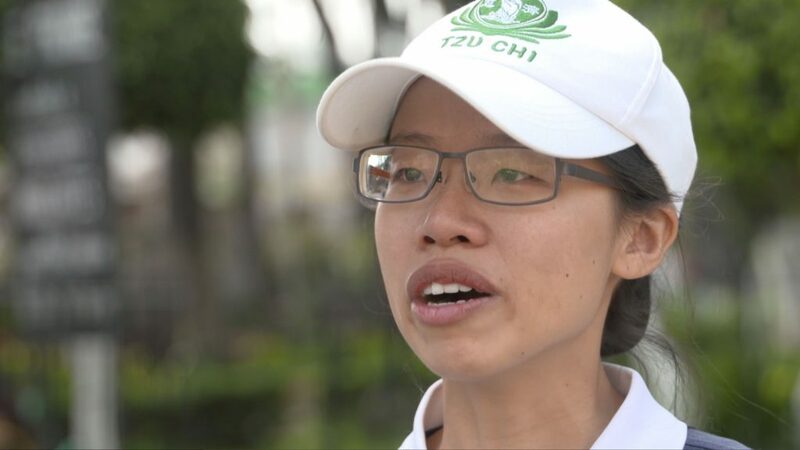 As we visited the region a week before the start of Tzu Chi’s large-scale disaster relief distributions, some farmers shared their stories. 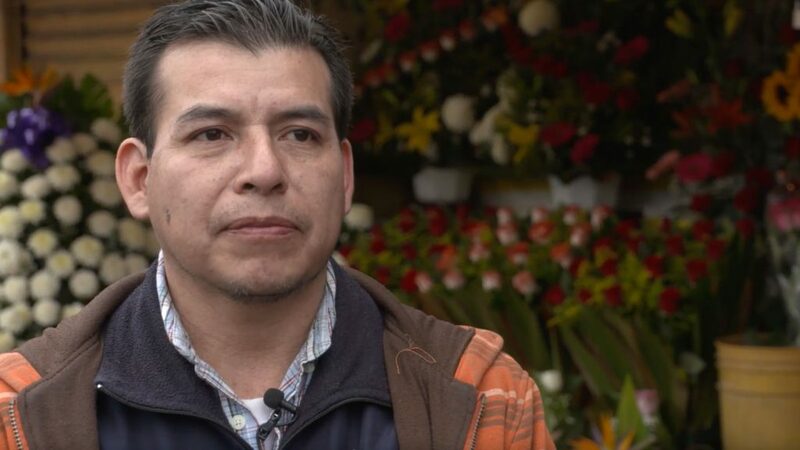 Don Colás has been farming flowers in San Gregorio for over 30 years, and he’s deeply saddened by the state of his floating gardens in the aftermath of the disaster. But he won’t give up despite the challenges and struggle. The earthquake shook the chinampa. The water level went up. Now, the flooding has receded. Everything’s destroyed, can’t you see it? 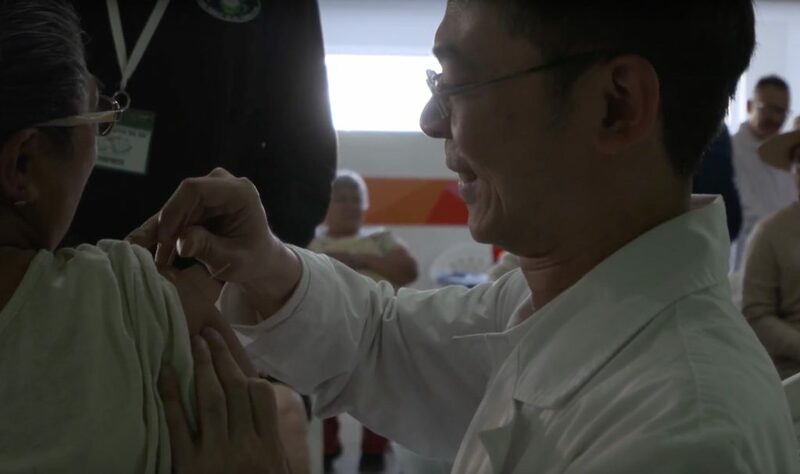 During our assessment in the area, Dr. Kao, one of our medical volunteers, provided free acupuncture treatments, bringing relief from various aches and ailments and helping ease some of the hardship people in these communities have been enduring. Now that you’ve helped them, my dad can walk a little more and my mother’s pain is gone. Our upcoming disaster aid distributions will provide much-needed financial relief for the people living here who were impacted by the earthquake. Volunteer training sessions in preparation for our forthcoming distributions have taken us back to San Gregorio, where reminders of the catastrophic earthquake are ever fresh in the minds of residents. The heartbreak and loss weighs heavily on those impacted, but they’re helping each other in any way they can, and attempting to steer the economy back on its tracks by getting small businesses back up and running. I love my town, and we have a nickname for residents of San Gregorio: ‘chicuarote 100%.’ Because my town is fierce. We’re fighters. Finding kindred spirits, residents and volunteers alike were glad to join hands with our mission, and bring relief to their neighbors as one family. 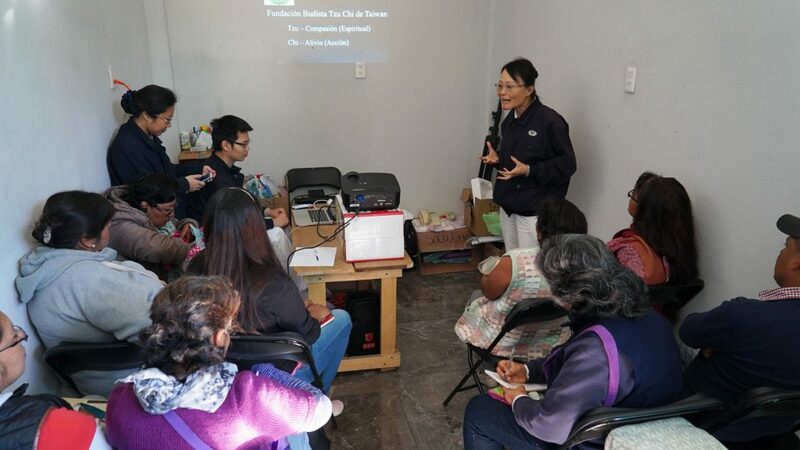 Our volunteers returned to Tláhuac, in the southeast of Mexico City to help prepare local volunteers for our upcoming distribution which will take place on December 7th. Eager to help their neighbors and community, 70 people attended our volunteer training session. When they found out we needed volunteers they all showed up today. We really connected, and brought together all the people who want to help. 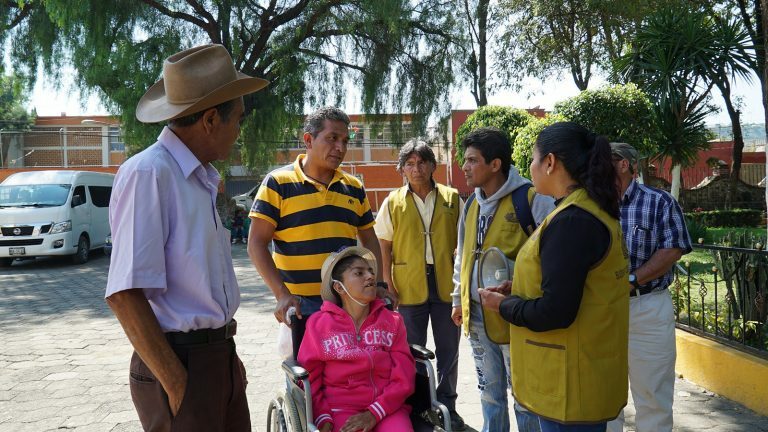 The borough of Tláhuac was severely impacted by the Mexico earthquake, and many residents desperately need help. Our upcoming disaster relief distribution will provide the first disaster aid in the area, and people are grateful and eager to participate. You come from the other side of the world. So, I also have that moral commitment with you. I wanted to come. The completion of the list of people who incurred damages due to the earthquake was the main priority on our third visit to Jojutla. 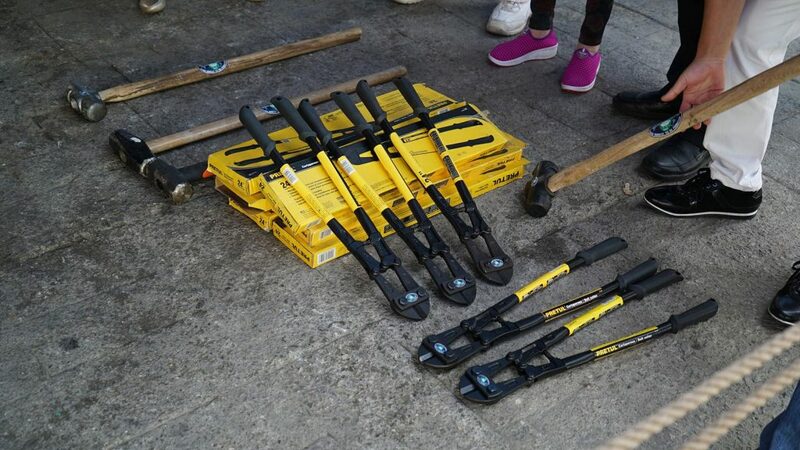 We also brought tools to help clear debris, as the remains of crumbled buildings still must be cleared away before any true progress can be made. We are grateful for the involvement of our local volunteers on this day especially, as residents were honoring those who died during the earthquake, yet were dedicated to our mission. Día de Muertos (Day of the Dead), is celebrated from October 31st – November 2nd, remembering all those who have passed. 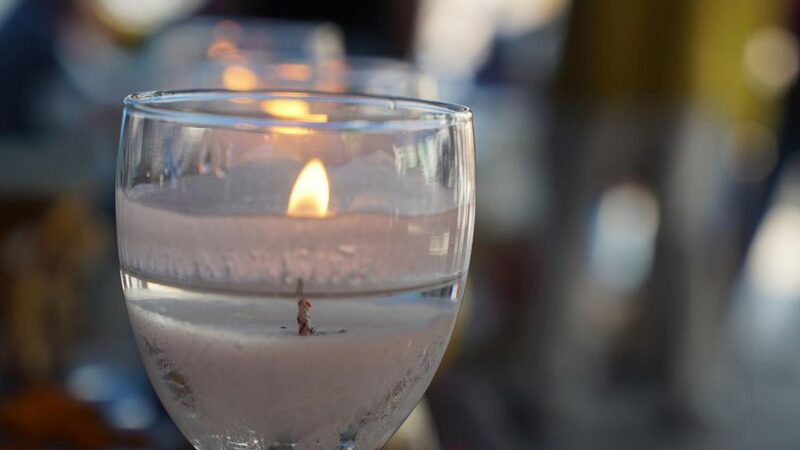 The day is also means of providing support on their spiritual journey of the deceased, so that they may “transcend to another life,” as described by one local volunteer who created an alter for his beloved grandfather. 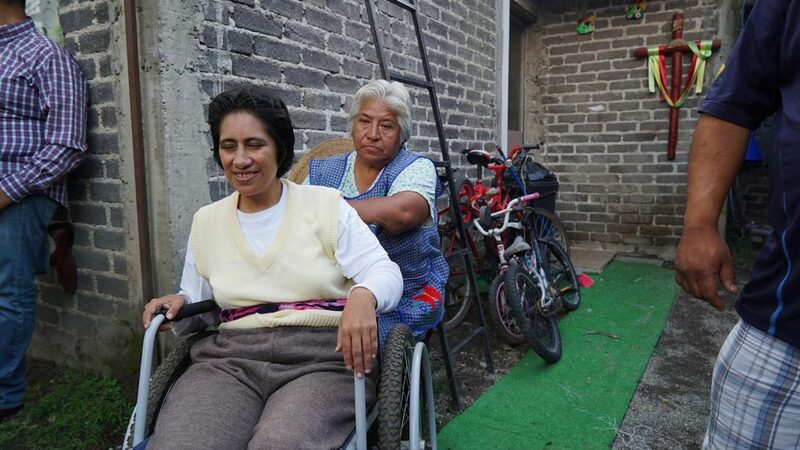 Ever since the earthquake, many Xochimilco residents are homeless, or, like Martina, continue to live in damaged homes that could collapse all too easily. I don’t sleep. I wake up every minute because I think it’s all going to fall… But what do I do? Where do I stay? I am a widow. I don’t have a pension… I have a daughter who is disabled. I lost my home. I lost everything. 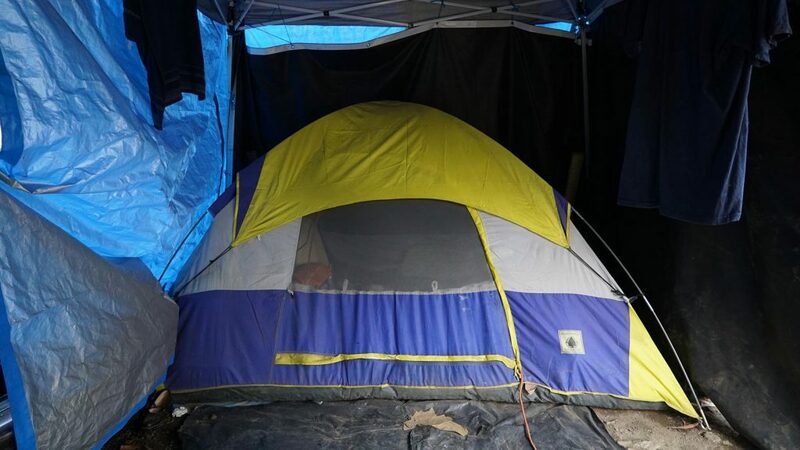 Winter is coming and [the tent] is cold. I don't know if I’ll live 5 or 10 more years to be able to leave a room for my daughter - a roof for my daughter. 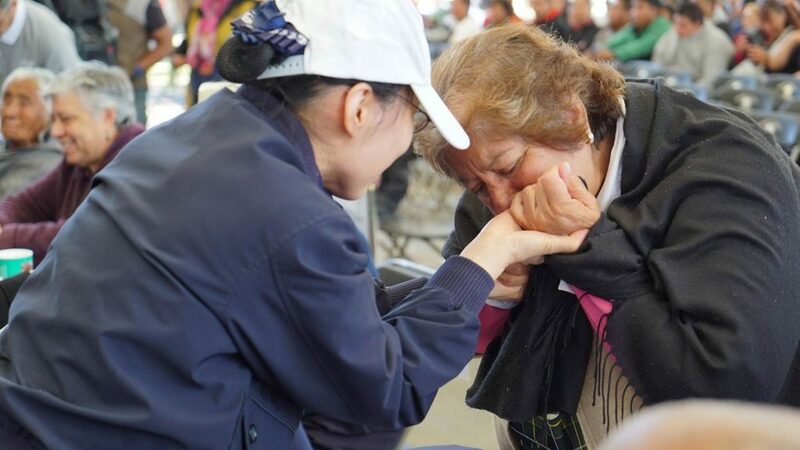 Tzu Chi Relief volunteers are working with haste to make disaster aid available, and to offer crucial aid to those sometimes left behind – our relief distributions are forthcoming. 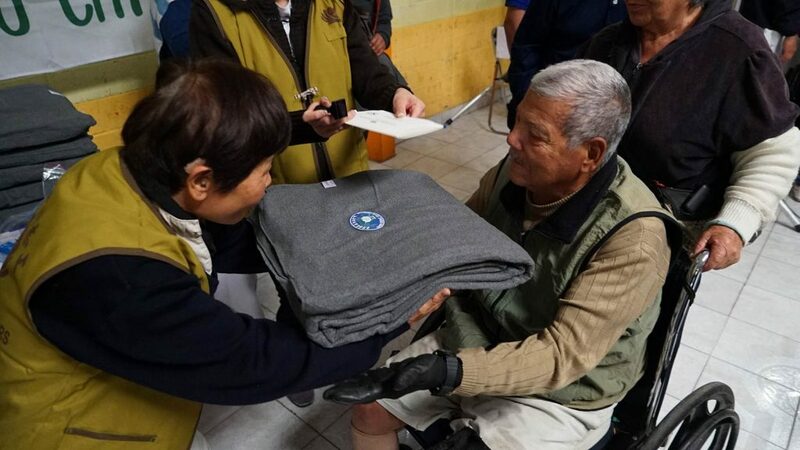 Tzu Chi volunteers also offered payment to locals through our Cash-For-Relief program, helping impacted residents get back on their feet while empowering them as they clean up their community. One local volunteer, Jamie, refused to accept it – volunteering with our disaster assessment team is something he’s doing from the heart. I learned something very important: love… The love that they came to share with us. That we are not alone, that there is always someone close who loves and cares for us. It’s at this point in my life that I’ve learned to value my time, which is a new reason to live on. Some volunteers, like Azarel and Luis, even went so far as to spend all of their savings to be able to lend their hands in aid. To me, it means more to go help somebody than to buy something material, or to use it for material things that are gonna be used up and gone with maybe no memories or no meaning, no value. One month has now passed since our relief volunteers’ last visit to Jojutla, and although much has changed as many buildings have been demolished, the people are struggling tremendously. Many more buildings still must be torn down. 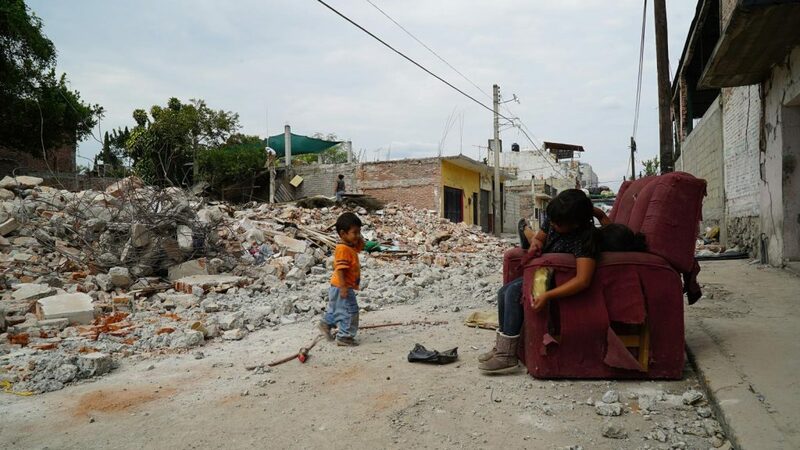 Residents still live among the piles of rubble in tents, and children make the most of the situation playing on broken furniture strewn on the sidewalk. 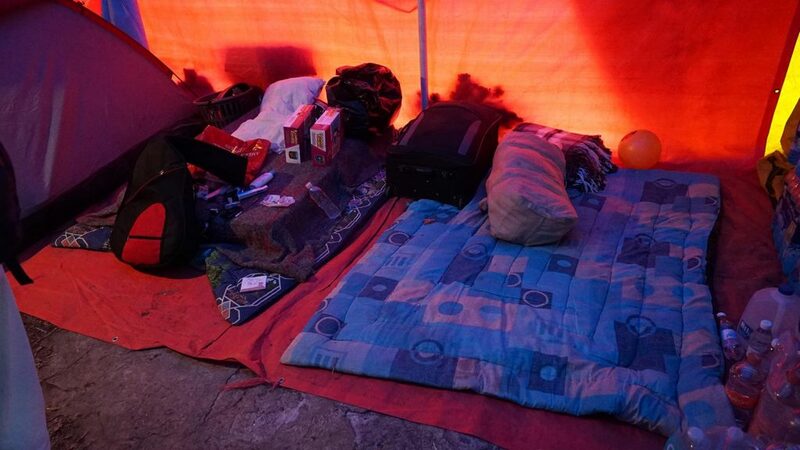 His family is worried that if he leaves, the land and the house will be taken by someone else… Things will be stolen, so, he stays here. 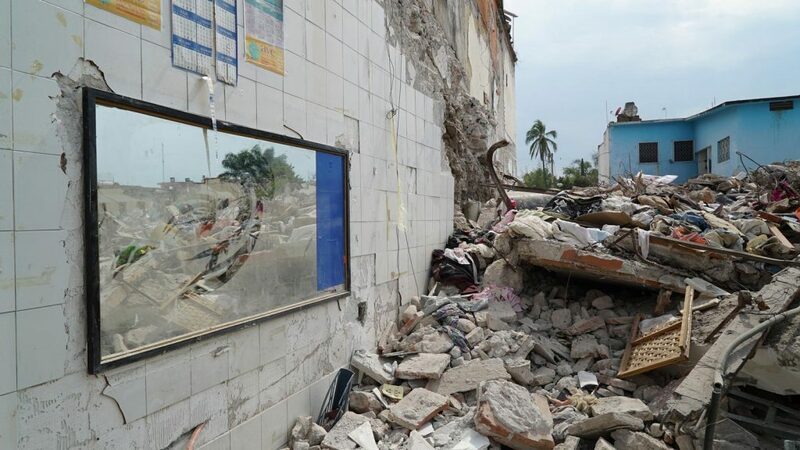 A 400 year old Catholic Church collapsed, a devastating prospect for the devout who can no longer seek refuge in their spiritual home in this time of immense need. The path to recovery will be lengthy and hard, but our upcoming disaster aid distributions will help people rebuild their homes. 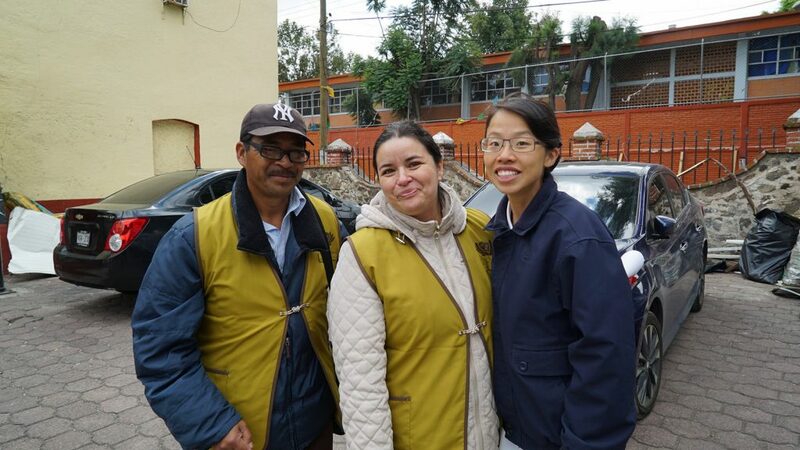 When Trinidad Jardines, a community leader in Xochimilco, got to know Tzu Chi’s international disaster relief team, she recognized something that touched her heart, and she felt inspired to join our efforts to help her people. I saw that deep inside, love moves you and love can move mountains, and I know that we can achieve it together. 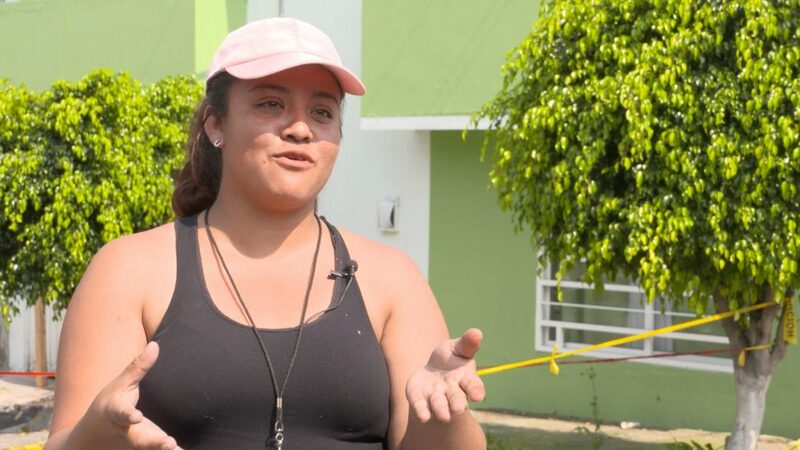 Trinidad works with the Public Works Department in San Gregorio, and her expertise and faith in us paved the way for the community to trust us as well, which is essential as we strive to connect with everyone who needs aid after the earthquake. My neighbors know that they have to trust in us and join this mission so that we can help them. This disaster has been very devastating. It’s a very large disaster zone which we’re completely unfamiliar with. The logistics of creating a comprehensive and accurate list of people that need disaster aid are complex and involve obtaining a lot of personal information. 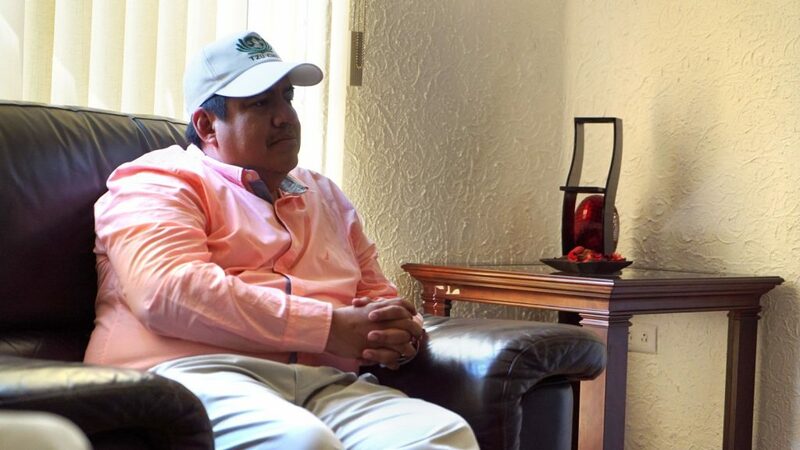 Sometimes people won’t trust an outsider, so the involvement of community leaders like Trindad is vital. In addition to home visits, we opened a desk to let people come to register for help. We went out in the car, in the back of the truck and with a loud speaker, we were inviting people in the area to come and join us because we really need more volunteers. We really need people to help us help! These efforts are paying off, as local residents are coming forward to join hands with us in helping their communities, some feeling a sense of responsibility. 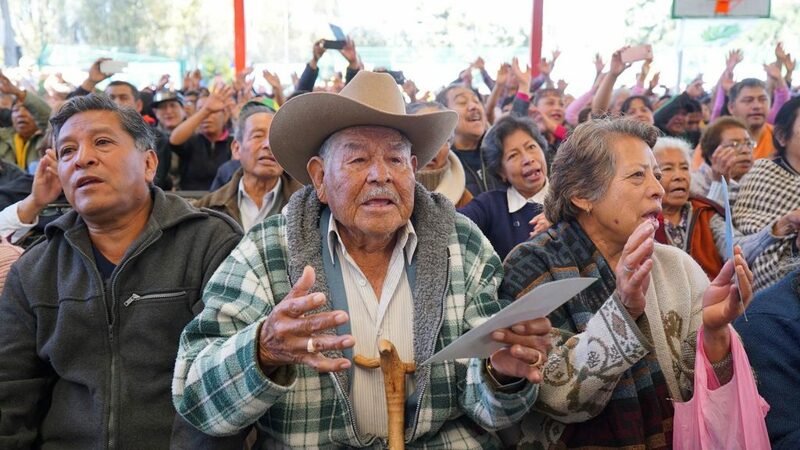 I see it as a debt that I have to pay for my people, but also, because you come from all over to help us and you need extra hands, so that all of this can be more organized. 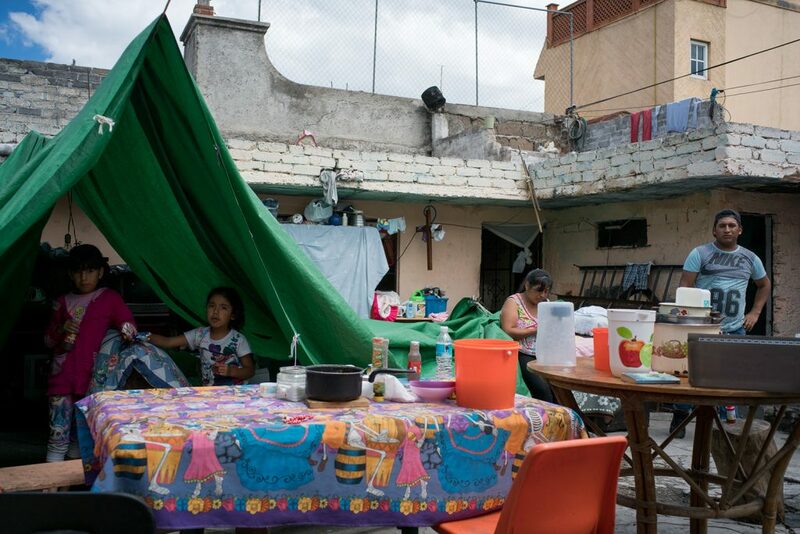 One month after the earthquake, the situation in the Federation of Tláhuac remains precarious, as many residents are still homeless and can’t return to their structurally unstable apartments or houses which stand on cracked ground. Even though we cry, it gives us joy. It makes us tear up seeing people supporting us, and trying to make us happy. For one elderly lady we met, the damage to her home is just the tip of her pain, since her husband recently passed away and she is mourning and consumed by sorrow. 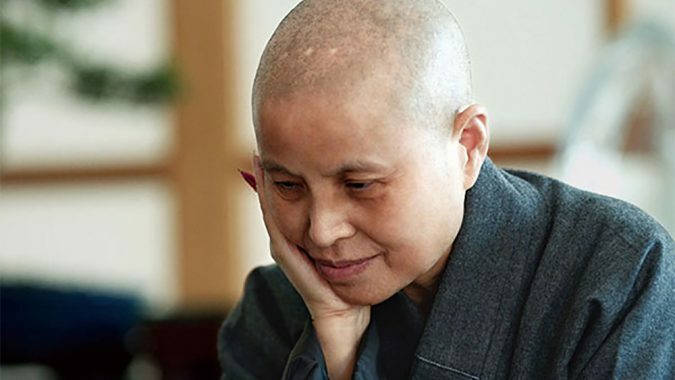 Our volunteers were grateful that they could be there to console her at this tremendously challenging time in her life. While we are bringing the promise of financial aid to help people rebuild after the earthquake, offering moral support is equally important. 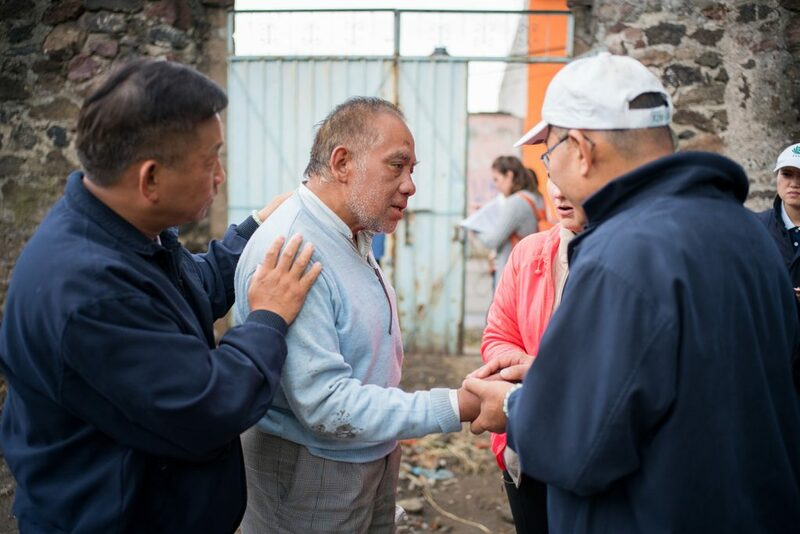 As our disaster assessment continues in San Gregorio, our volunteers are meeting many remarkable individuals who are standing strong even though so much around them collapsed due to the earthquake. 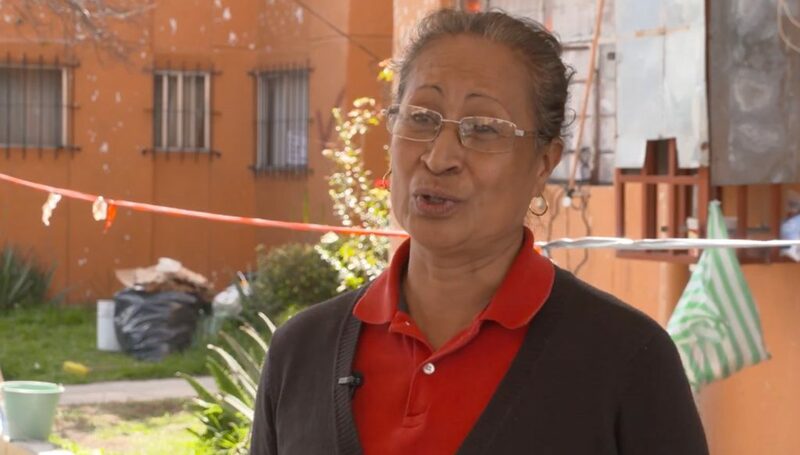 In the “Conchita” neighborhood, an underprivileged neighborhood where many residents are hard-working farmers, we met Laura Enriquez Olvera, a single mother whose house was destroyed. It’s sad because you’re left with nothing, no place to live, no place to stay. 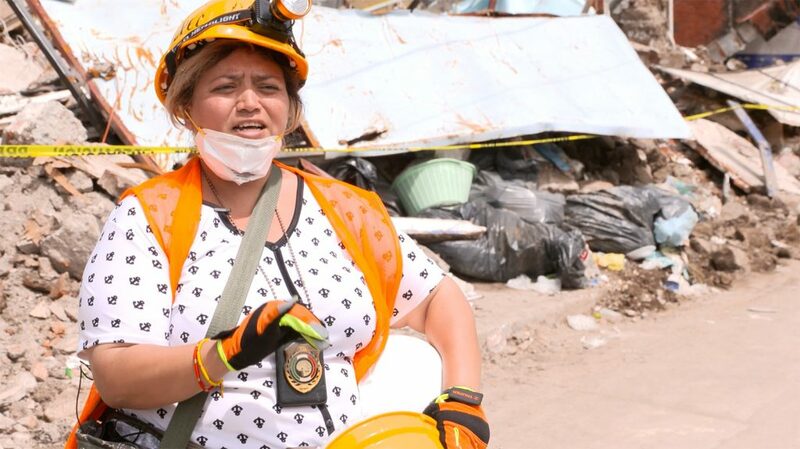 Thankfully, her children survived and were unharmed, and Laura is determined to rebuild their humble home. There’s no denying that it will be tough for a single provider who must balance work with efforts to recover from the catastrophe. Our upcoming distributions will be a tremendous help to this resilient mother. Today, we welcomed 45 new local volunteers at our training session in San Gregorio. 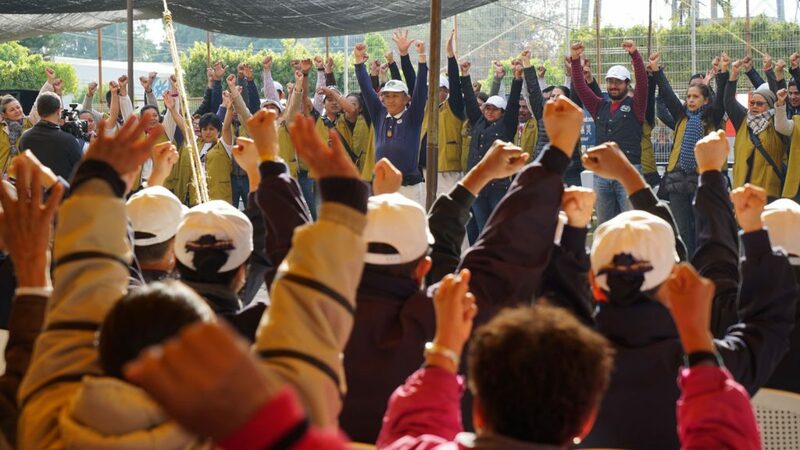 Residents eagerly joined hands with Tzu Chi relief volunteers, hoping to lift their neighborhoods from the debris, and rekindling a sense of positivity that they can make a difference for their community. Every day when I leave in the afternoon, I’m full of hope. When the earthquake first hit, it had utterly shaken residents of San Gregorio to the core, and shortly after, many questioned how they would ever regain their footing amid the destruction. It makes me happy to be helping my town. First things come first so we need to help our neighbors. 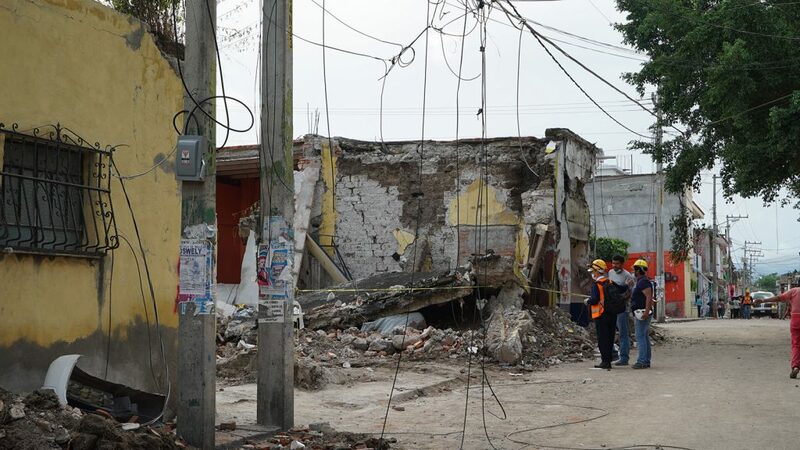 Our disaster assessment in the Mexico City borough of Xochimilco continues. There’s something magical about this borough, one of 16 within the city, where several areas were declared World Heritage Sites by the UN in 1987. I saw how the walls in homes cracked and the earth opened. I felt that this was the end. 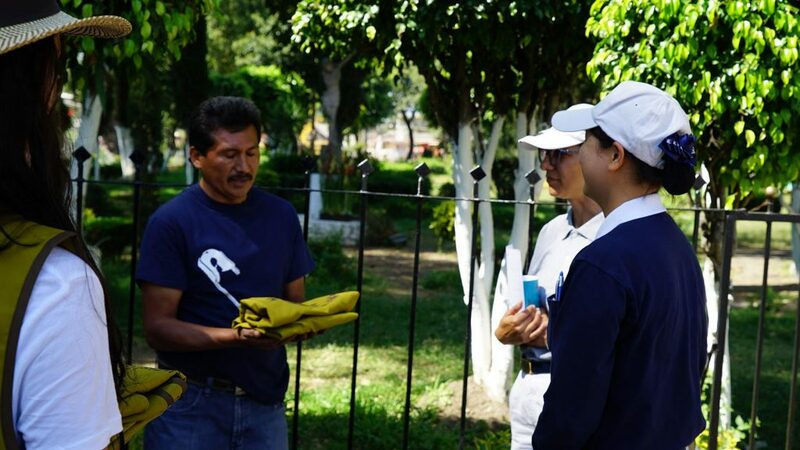 Relief volunteers on-site estimate there to be approximately 1,300 families that suffered from the earthquake in Tlahuac alone, with another 3,000 families that we still need more information on regarding their situation after the earthquake. With more local volunteers joining in, we can more quickly and effectively survey the devastated areas and determine the best course of action. 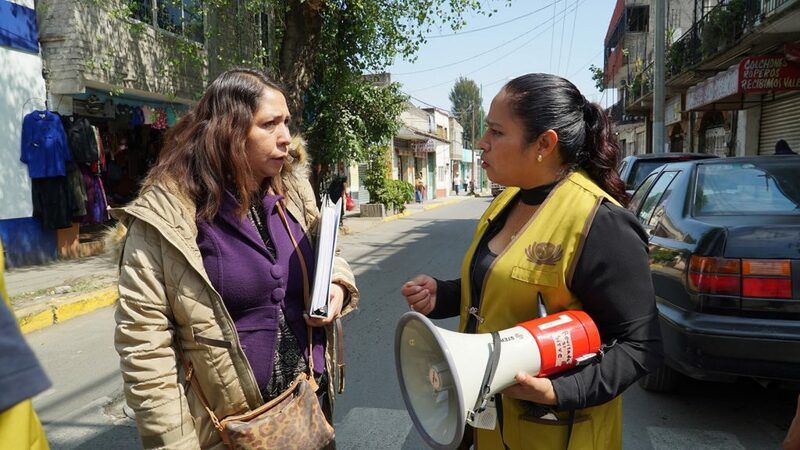 As we prepare our financial aid distributions for those impacted by the earthquake, our disaster assessment team in Mexico has been travelling to hard-hit communities, offering emotional support while compiling lists of people in need of help. We’ve assessed the most devastated areas of San Gregorio, and estimate that 2,800 - 3,000 affected families will receive aid at the distribution. The journey ahead will be long. We require more volunteers to join in and provide assistance. Actually, I’m very scared. I must achieve the things that I promised. 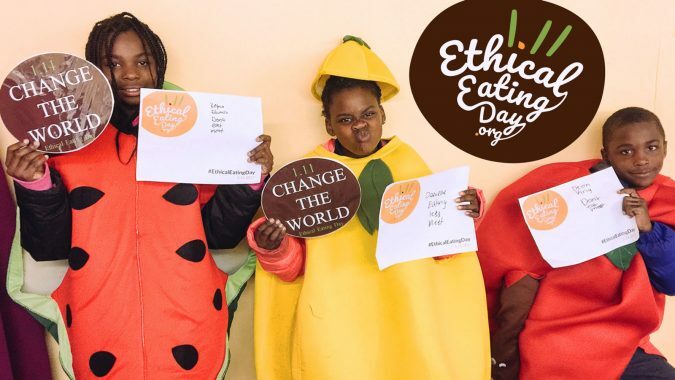 I won’t think about the number of days only about how we’ll make a difference one day at a time. For those growing flowers and vegetables, such issues can be devastating. We intend to help these business owners with our upcoming distributions of financial aid. 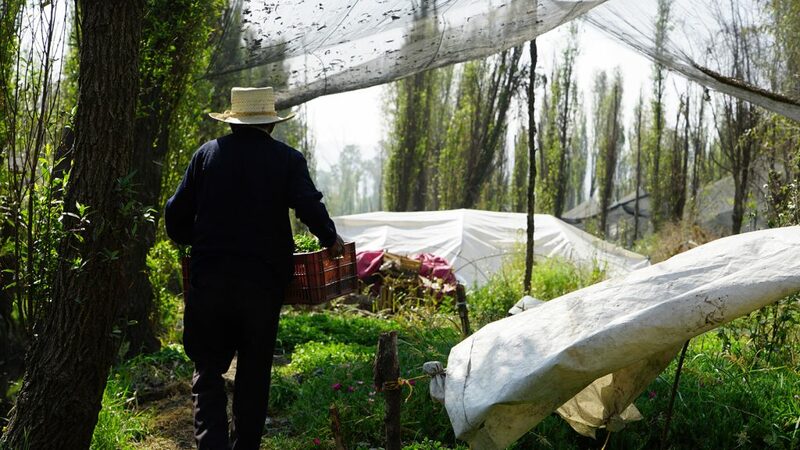 Xochimilco can be translated as “breeding ground of flowers,” and the blossoms and produce that are grown here on artificial islands called “chinampas” are recognized worldwide. 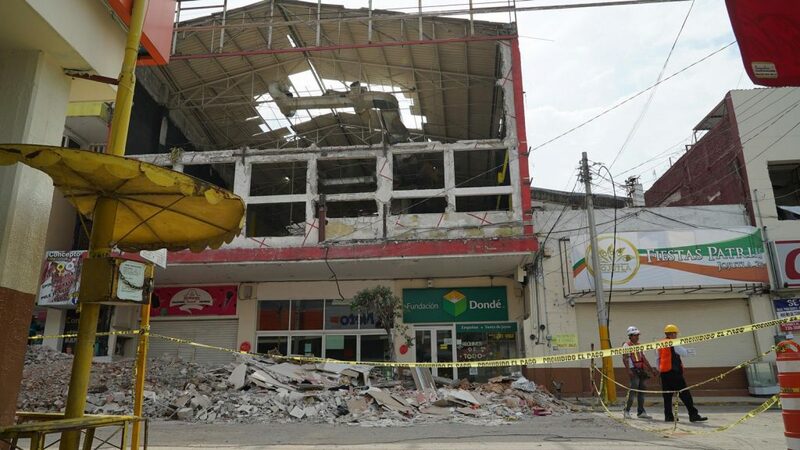 Yet since the earthquake, business is not the same due to damages and their impact on the region’s infrastructure. Sales have been very slow because the water pipes were damaged. 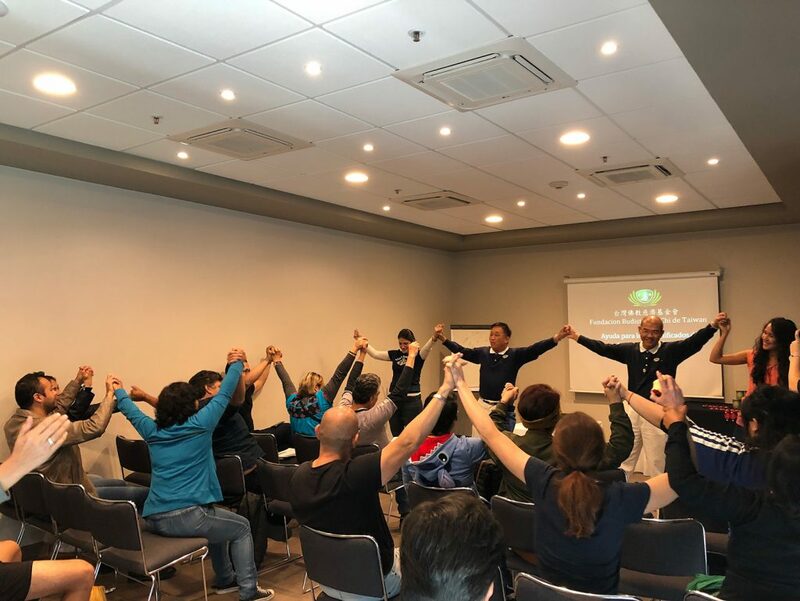 In order to expand the reach of our disaster assessment and speed up the process, Tzu Chi Relief volunteers are currently conducting local volunteer training sessions in Mexico as well. After their training is completed, the new volunteers break off into small groups and go from house to house to inspect the condition of the premises, meet residents, and learn of their situation. In this manner, we are able to more quickly and even more thoroughly prepare lists of families in need in each city, who will then be invited to our upcoming disaster relief distributions which are to begin in November. During the disaster assessment, our volunteers have also been meeting with local officials and looking at churches and schools which might serve as possible sites for our distributions. We will provide more updates soon. 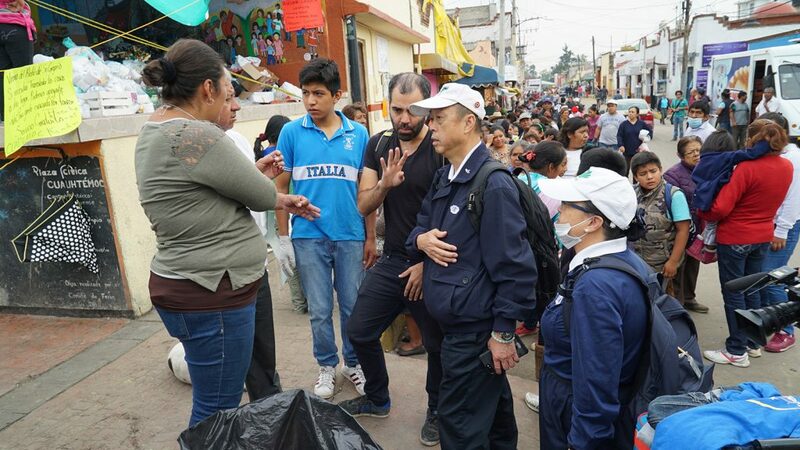 After Jojutla and San Gregorio, Tzu Chi Relief volunteers continued their disaster assessment in four other cities that were heavily impacted by the earthquake – Atencingo, Cuautla, Raboso, and Xochimilco. 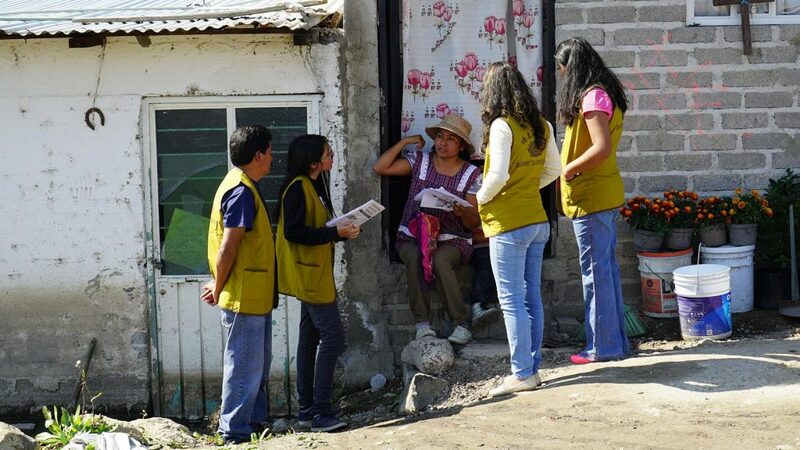 In each city, our volunteers are conducting door to door home visits to meet families and learn about their current situation and most pressing needs, while offering moral support and attentive care. 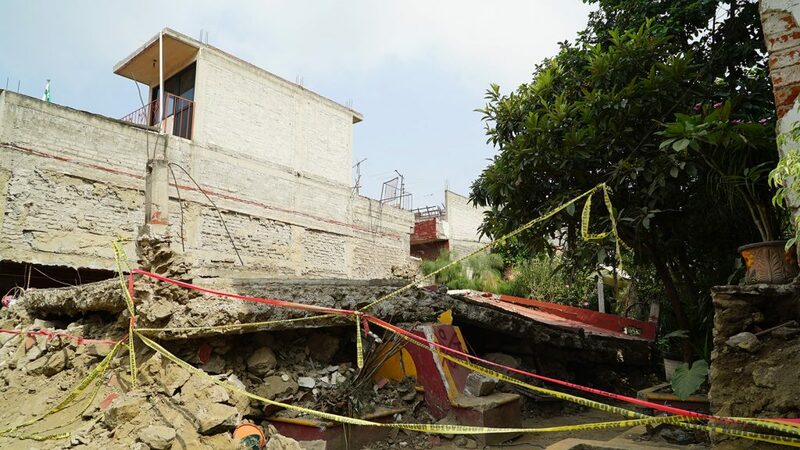 In Xochimilco, some residents impacted by the earthquake are still without clean running water, and the debris of crumbling buildings remains. They heard the story of three sisters who live on the same premises. Not only are they struggling without water, but because of a property issue, obtaining government aid may prove difficult. 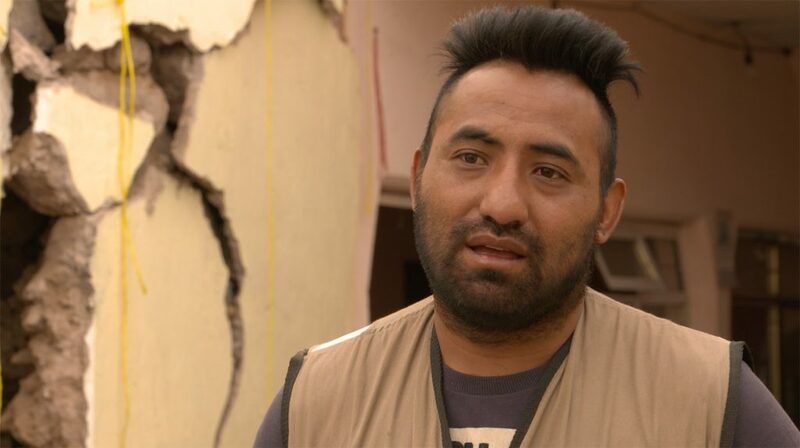 Each family faces its own issues, yet the bottom line is the same – they are struggling since the earthquake, and need support along the long and difficult road to recovery after this catastrophic event. 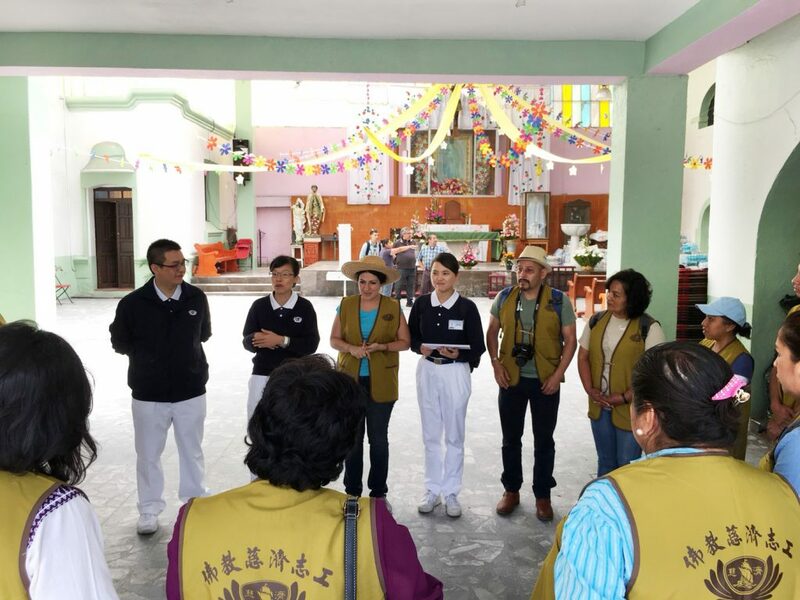 On the second day of our disaster assessment, the team travelled to San Gregorio Atlapulco, a city in the borough of Xochimilco, about an hour’s drive from Mexico City. As our volunteers walked through town to survey the damage and meet residents, they also coordinated with members of the military, municipal government, and civil organizations to help us determine the most urgent needs, and to request lists of residents affected by this catastrophe. It soon became evident that medical outreach may be of potential need in San Gregorio, apart from financial aid and disaster relief supplies. Vehicles equipped for medical care were deployed by local government and are on the scene, and doctors are working day and night to provide emergency services to those who require it. 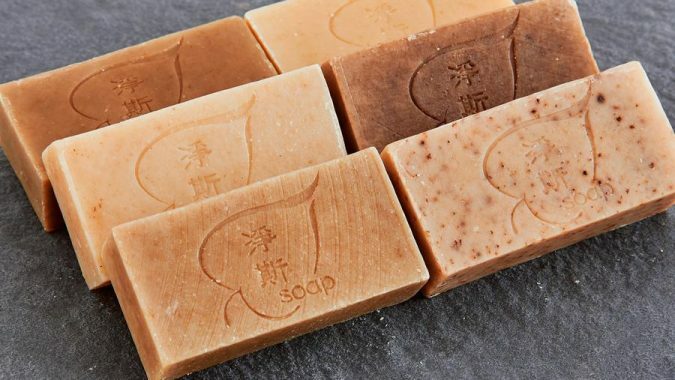 However, medical supplies may become in short supply and due to a lack of electricity and clean drinking water, there are some serious public health concerns. There is no water. There is no way to wash their hands. The food they are bringing from the outside lacks refrigeration. It is important now to help especially with medical care. It is estimated that around 600 families in San Gregorio were affected by the earthquake, and each has their own burden of hardship to bear. 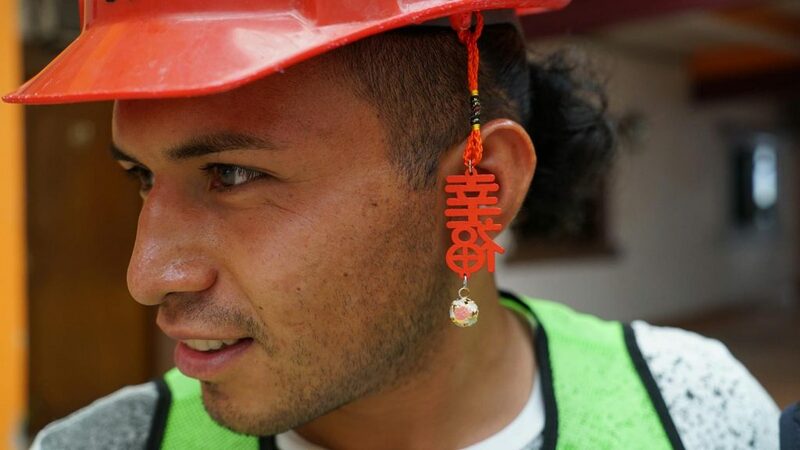 Some, like Iván Bárcenas whose house collapsed in seconds, are now sleeping in the street, and the trauma of September 19 is still a wound that hasn’t begun to heal. 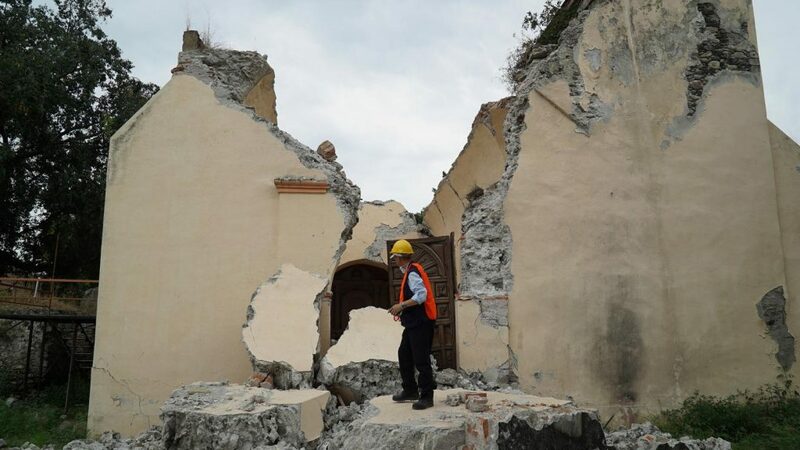 Day two of the assessment in San Gregorio was even more heartbreaking, as our volunteers came upon the San Gregorio Church, which has a history spanning 700 years, and discovered that one side of the church collapsed during the tremors and crushed a couple and their child. Tragically, the mother died alongside her daughter, but the father survived, then had a leg amputated. For so many people impacted by the earthquake, the future is uncertain and the present is beset with suffering and critical needs. 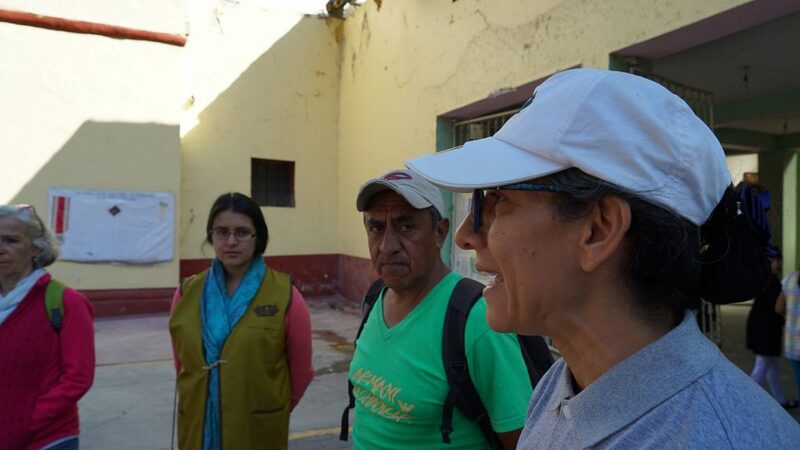 Our disaster assessment began in Jojutla, an old city dating back to 1840, near the epicenter of the earthquake on September 19, 2017. Around 500 families here lost everything, as some 300 buildings collapsed and many others will be destroyed due to severe damage. Buildings here are very vulnerable to earthquake damage so they collapsed easily. My property … collapsed and fell on my relatives ... My niece has a fractured spine my nephew, they amputated an arm. The situation is dire for many families here. All the schools in town were damaged and are closed, there’s no work or source of income anymore, and residents must figure out how to obtain food each day. We need all the basic necessities, oil, rice, beans. The children have nothing, no milk, diapers. People are supporting each other in any way they can, and strangers are even coming in from other towns to distribute food. It appears that providing rice and other non-perishable food will be a priority here. Your generosity could mean the world to someone who must now rebuild their life from scratch after this disaster. Help support our relief mission.